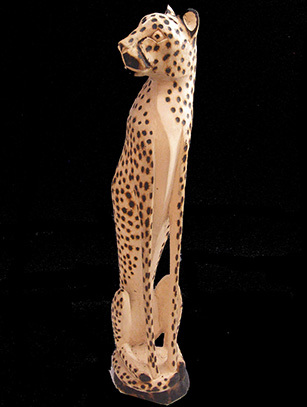 We have 2 sizes of Cheetahs available; the 20" is $88, and the 25" is $120. 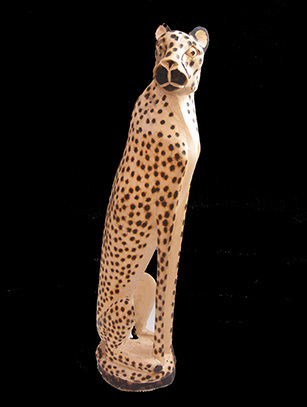 Hand carved from a single piece of jacaranda wood in Bulawayo, Zimbabwe. Please specify size you would like. 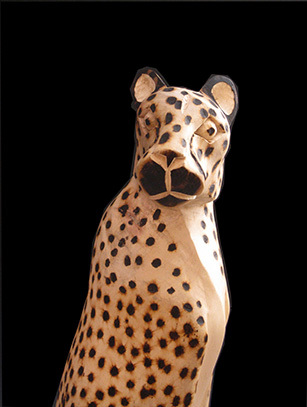 Each animal is a one-of-a-kind piece with unique poses capturing the charm and grace of the real animals. The cheetah is the fastest animal on land and can accelerate from stand- still to 45 mph in 2.5 seconds, with a top speed of 60 mph. The largest free roaming population can be found in Namibia where approximately 2,500 remain.